When we start homeschooling, most of us have an idyllic mental image of our children gathered around the school table working happily. We may envision taking them on a field trip during which everyone gets so excited about a particular topic that we have to stop by the library on the way home so we can borrow books to learn more. We may picture hands-on science projects or children cozily snuggled on couches engrossed in captivating books. What we probably don't picture are tears of frustration because our kids are struggling academically. Unfortunately, that scenario is as likely as the previous ones. So, what can you do, as your child's educator and parent, when your homeschooled student struggles academically? If you’re homeschooling young children, one of the first factors to consider when they struggle academically is readiness. Often, we push children to acquire a skill that is beyond their abilities, physically or mentally. We know that babies must learn to roll over before they sit on their own. They sit before they crawl and crawl before they walk. We are aware that babies reach these milestones around certain ages, but we don’t push them to achieve one benchmark before they've accomplished the other, and we accept that some babies reach these milestones before others. However, we may not extend these courtesies to our school-age children. For example, the median age range for learning to read is 6 to 8 years of age. Yet, most adults expect all first graders to be reading. Because the average age for learning to read is 6-8, that means that some children will read well before they’re six years old, but others will read well after they’re eight. When asking a child to write, we may not consider everything that the task involves. First, the student must think of what he wants to write. Then, he has to remember his idea long enough to get it on paper. This requires his brain telling his hand what letters to write to form each word and remembering to start sentences with a capital and end with a period. Are there other words that should be capitalized? What about commas or other punctuation within the sentence? Because a young child may have only recently acquired the physical ability to write, putting his thoughts on paper is a more arduous a task than it initially appears. If your child is struggling to learn to read, it may not be a problem. Instead, he may just need a bit more time. Relieve the pressure by not pushing reading instruction for a while. Spend lots of time reading to him. Let him listen to audio books. Point out the written word as you go about your daily tasks, reading signs in stores and on the road you drive or reading instructions and recipes aloud as you play or bake together. Set aside the spelling book for awhile and try copywork with your struggling speller. Help her correct spelling mistakes in her own writing, or let her dictate her words to you, copying them to her paper afterward. If your child struggles with a math concept, put aside the worksheets in favor of math games. Choose those that target the concept you’re trying to teach or strengthen weak skills. For example, play games that work on multiplication and division skills in preparation for tackling long division. Spend some time exploring living math. It's not that you should toss every subject that your student doesn’t grasp immediately, but developmental readiness does play a role in how quickly and easily a concept is understood. Sometimes a few weeks -- or even a few months -- can make a huge difference and avoid unnecessarily feelings of negativity toward a particular concept or subject. Is the Curriculum the Right Fit? Sometimes a student struggles academically because the curriculum is a poor fit. Not everything needs to cater to your child’s learning style, but if it appears that the curriculum is the stumbling block, it’s time to make some changes. If the way the topic is being taught isn’t clicking with your student, look for alternatives. If phonics doesn’t make sense to your struggling reader, consider a whole language approach. Maybe your screen-loving techie would prefer a multi-media approach to history instead of textbooks. Perhaps your kinesthetic learner needs to ditch the books and get his hands dirty with a hands-on learning approach. 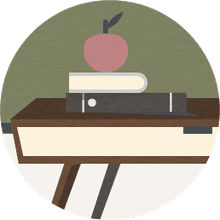 Often you may be able to modify the curriculum yourself to make it more effective for your student, but when that doesn’t work, you may have to consider alternative options. We have had to completely change homeschool curriculum mid-year on more than one occasion, and I have never found it to be detrimental to my students' overall education. If you’ve tried allowing time for your student to reach a level of developmental readiness and have made adjustments to his curriculum, but he’s still struggling, it may be time to consider the possibility of a learning disability. Dyslexia. Students with dyslexia struggle with processing the written language. It’s not simply a matter of letter reversals, as many assume. Dyslexia can affect both written and oral expression, along with pronunciation, spelling, and reading comprehension. Dysgraphia. Your struggling writer may be dealing with dysgraphia, a writing disorder which causes difficulty with the physical act of writing. Students with dysgraphia may experience difficulty with fine motor skills, muscle fatigue, and language processing. Dyscalculia. If your student struggles with math, you may want to investigate dyscalculia, a learning disability involving math reasoning. Children with dyscalculia may struggle with more complex math problems because they have difficulty mastering basic skills such as addition, subtraction, multiplication, and division. Attention Deficit Disorder. 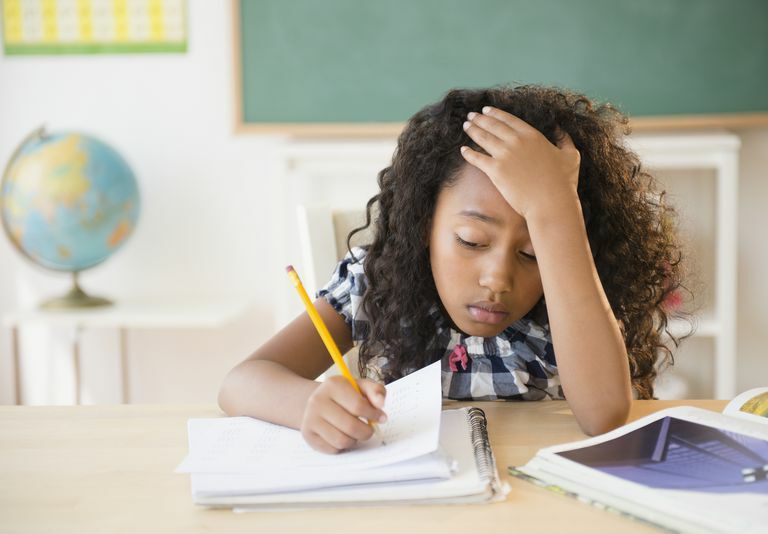 Attention Deficit Disorder (ADD), with or without hyperactivity (ADHD), can affect a student’s ability to stay focused on schoolwork and complete tasks. Children who appear to be lazy, disorganized, or inattentive with regards to schoolwork may be dealing with ADD. It can be alarming to discover that your child has a learning disability. It can cause the doubts and fears that you may have initially felt when considering homeschooling to resurface. It can be frustrating for both parent and child when a homeschooled student faces learning challenges, but these challenges don't have to derail your homeschool. Do a bit of investigating to determine the cause. Then, take the appropriate steps to get your child back on the right track. Homeschool Curriculum Not Working? Try Tweaking It! Are There Downfalls to One-on-One Instruction for Homeschoolers?